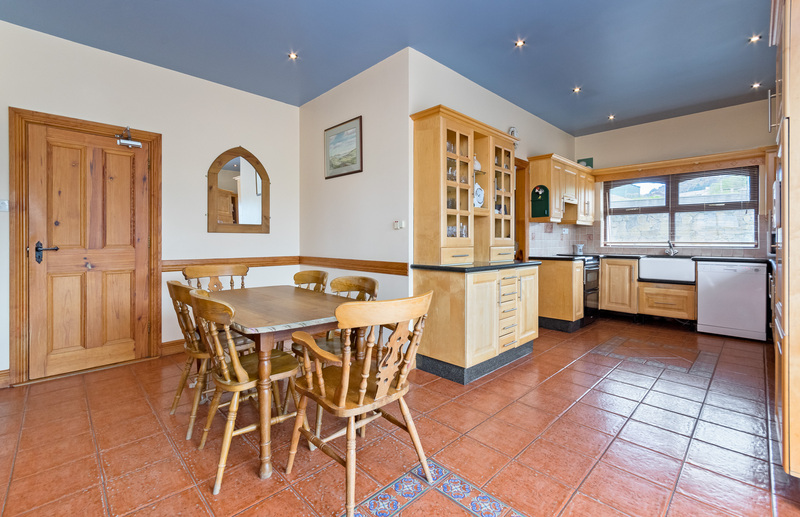 Home Larass, Strandhill, Co Sligo. 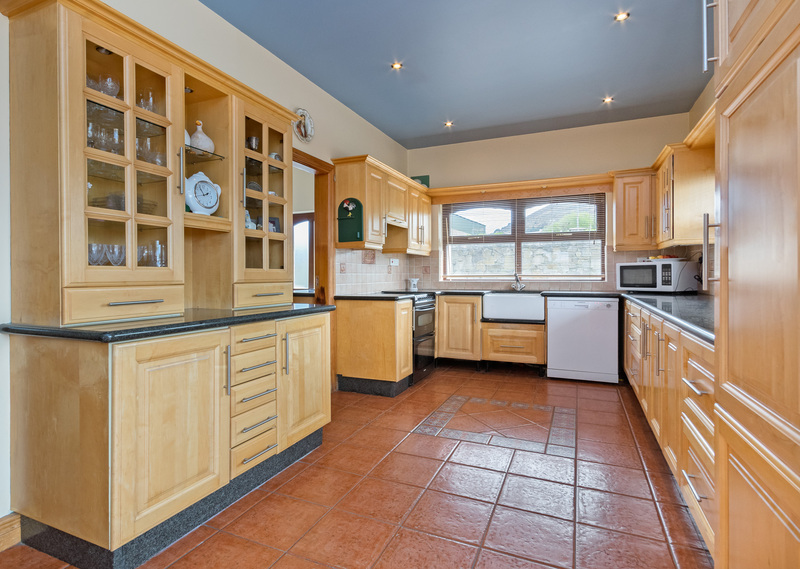 Superb Detached Residence in this much sought after residential area with outstanding views overlooking Sligo Bay and the iconic Benbulben Mountain. 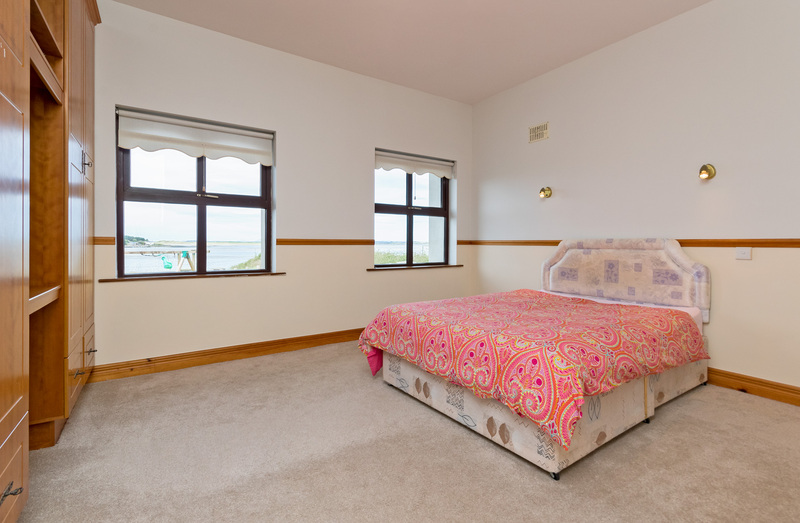 Nestled in a cul de sac just off the Strandhill Road, this property has all the benefits of unreserved privacy alongside the convenience of being close to Strandhill Village with all its amenities such as beach, golf club, restaurants, shop and pubs. 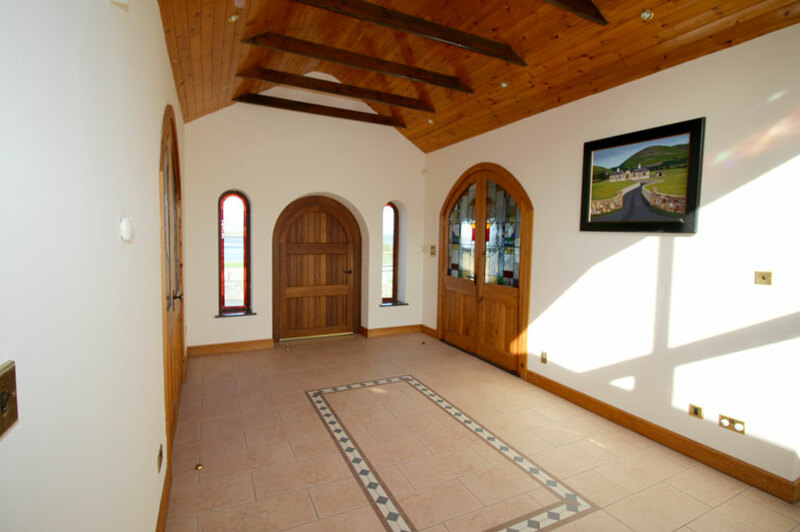 This property is finished to an extremely high level, with many extras such as solid marble fireplace, feature stained glass internal double doors and many bay windows. Guest WC: WC & Wash Hand Basin. 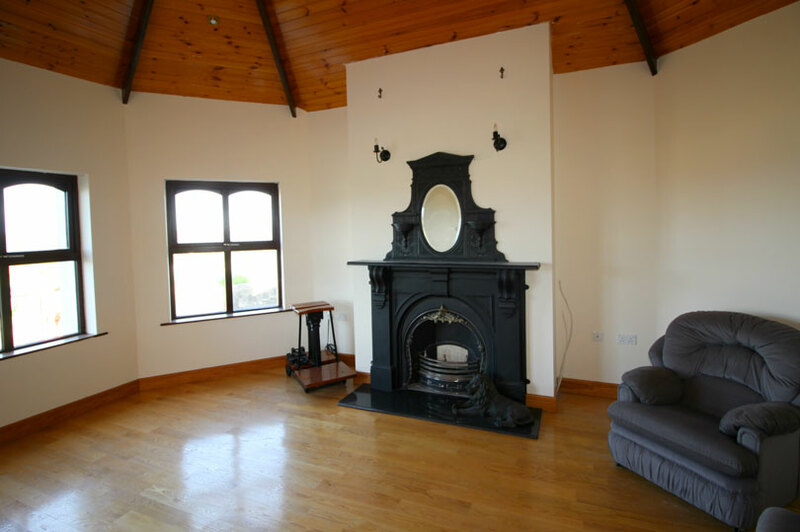 (5.88 m x 4.36 m) Iron Insert & Granite Hearth. 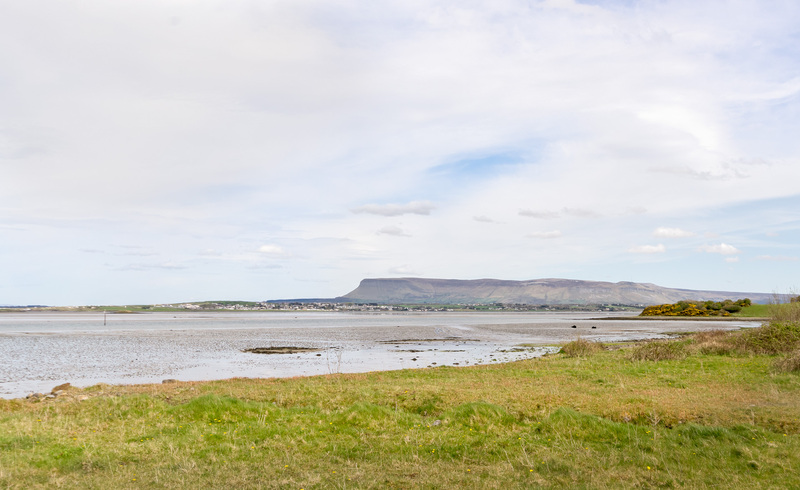 Panoramic Views over Sligo Bay. Recessed Lights to Pine Ceiling. Wall Lights. 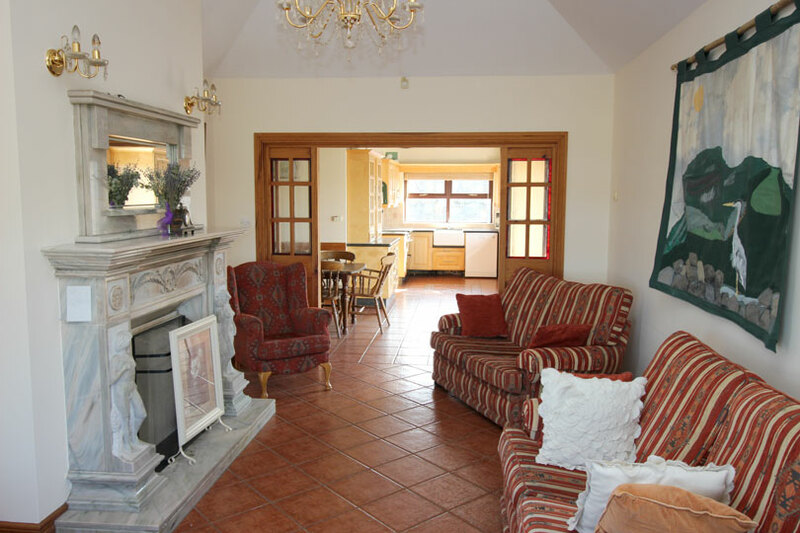 Sitting Room: Ceramic Tiles to Floor. 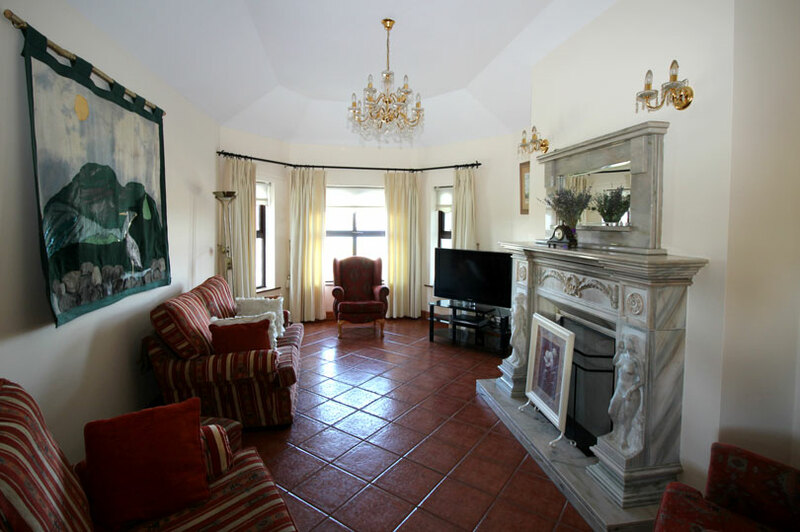 Feature marble fireplace. (5.88 m x 3.54 m) Wall lights. 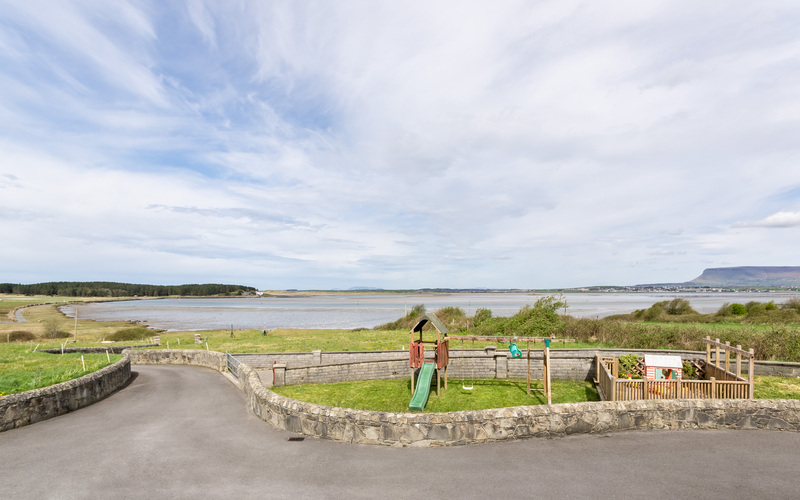 Panoramic Views over Sligo Bay. 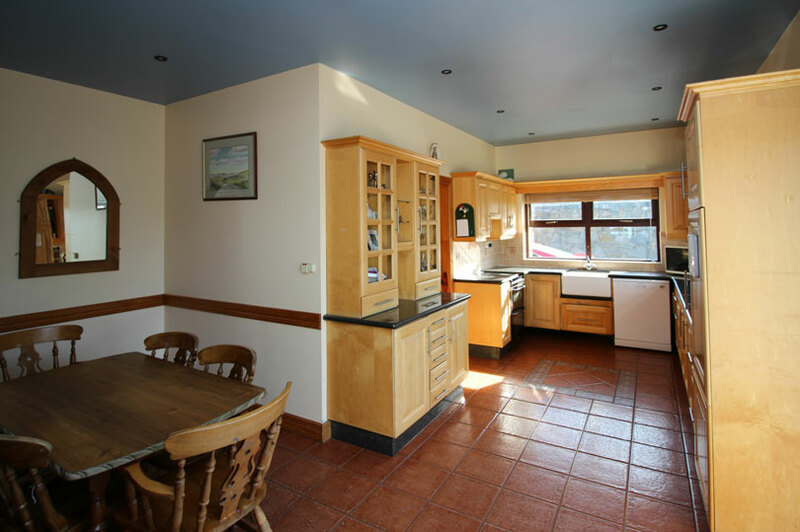 L Shaped Kitchen/ Fully Fitted Kitchen with Belfast Sink and Granite Worktops. Dining Area Ceramic Tiles to Floor and between Units. Dado Rail to Dining Area. (4.15 m x 2.83 m & Recessed Lights. (3.96 m x 2.4 m) Plumbed for Washing Machine and Tumble Dryer. 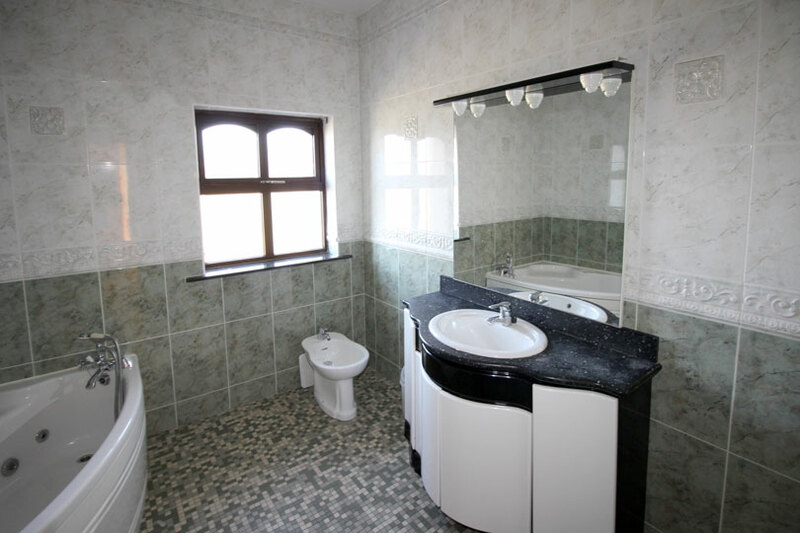 Shower Room: WC, Wash Hand Basin, Shower. 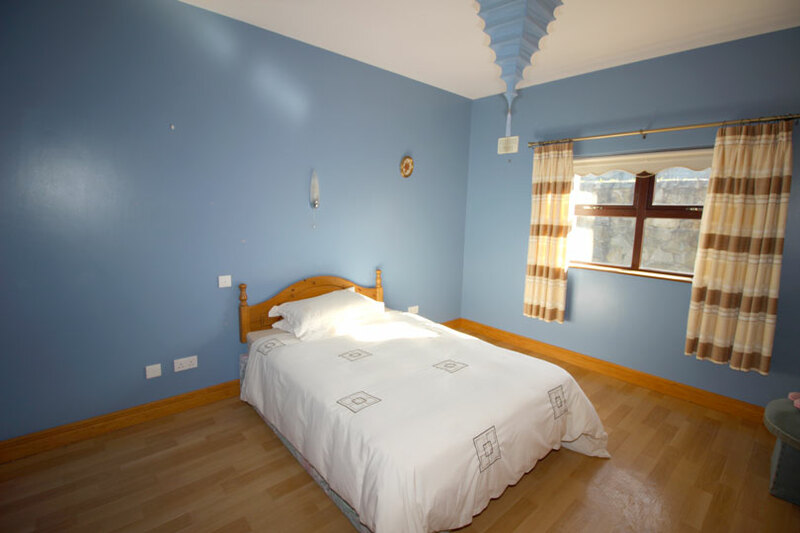 Master Bedroom: Double Room with Laminate Flooring and Built in Wardrobe. (0.9 m x 0.8 m) Jacuzzi bath. 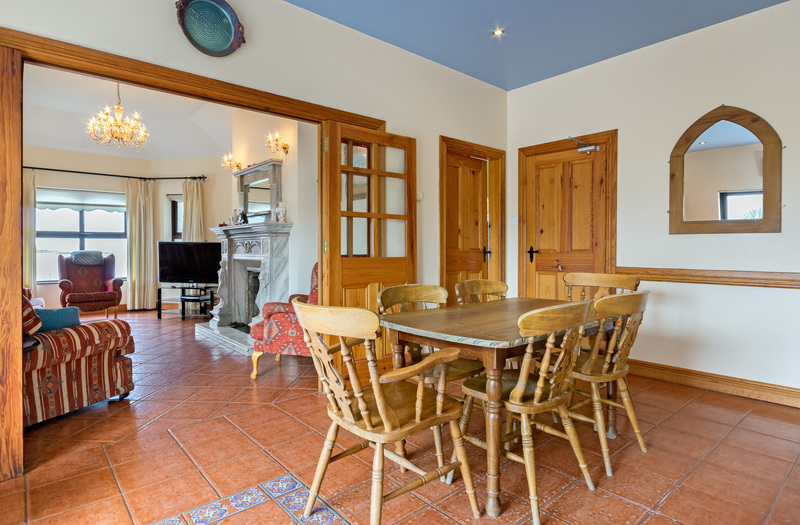 Fully Tiled floor to ceiling. 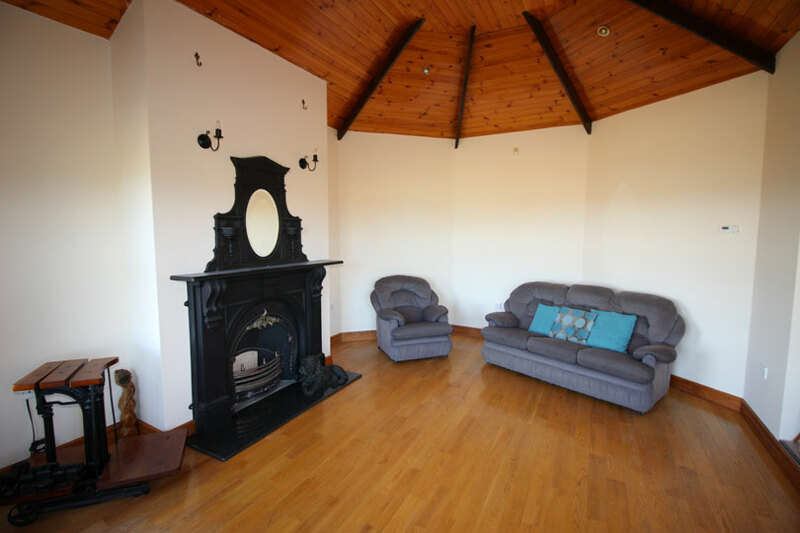 (3.66 m x 3.35 m) Double Room with Laminate Flooring & Built in Wardrobe. 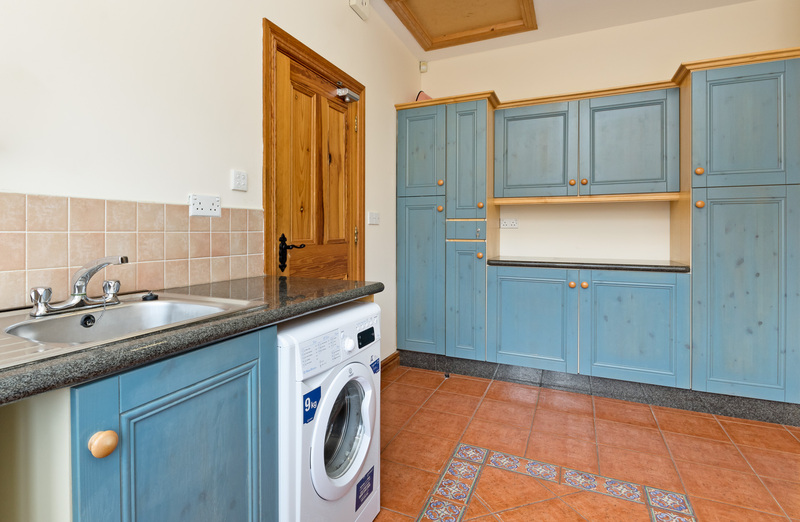 (3.96 m x 3.66 m) Double Room with Laminate Flooring, Built in Wardrobe and Vanity Unit. (0.8 m x 0.5 m) Shared between Bedroom 4 & 5. WC, Wash Hand Basin, (Electric/Mains) Shower. 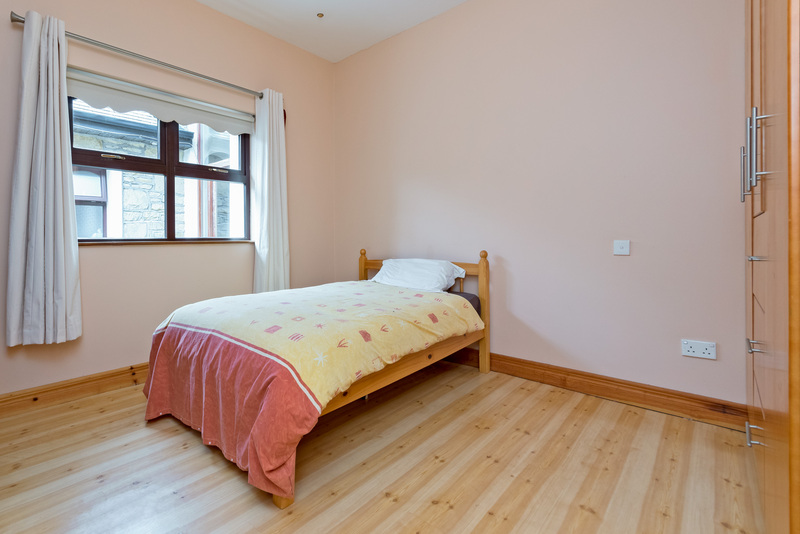 Bedroom 5: Double Room with Lino Flooring and Built in Wardrobe. (3.66 m x 3.55 m) Study Desk and Shelving. Hot press: With Immersion. Fully Shelved. 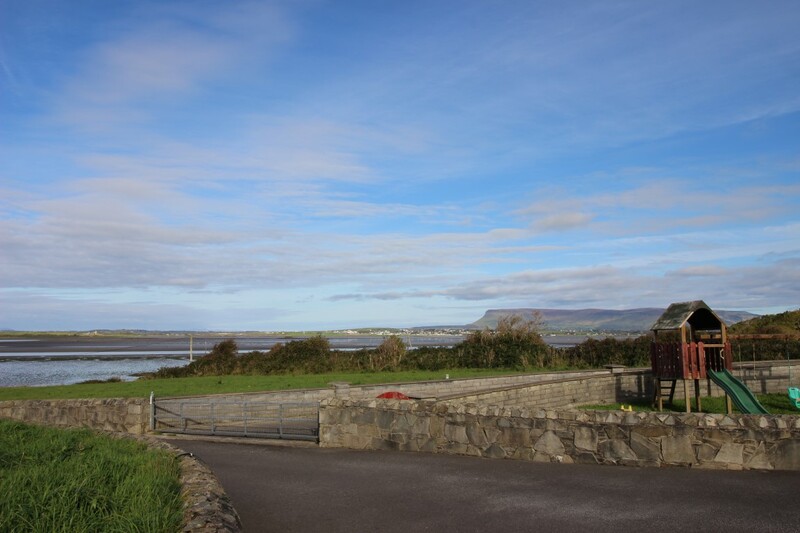 Panoramic Views over Sligo Bay. Large 4 Bay table with Ample Additional Storage. 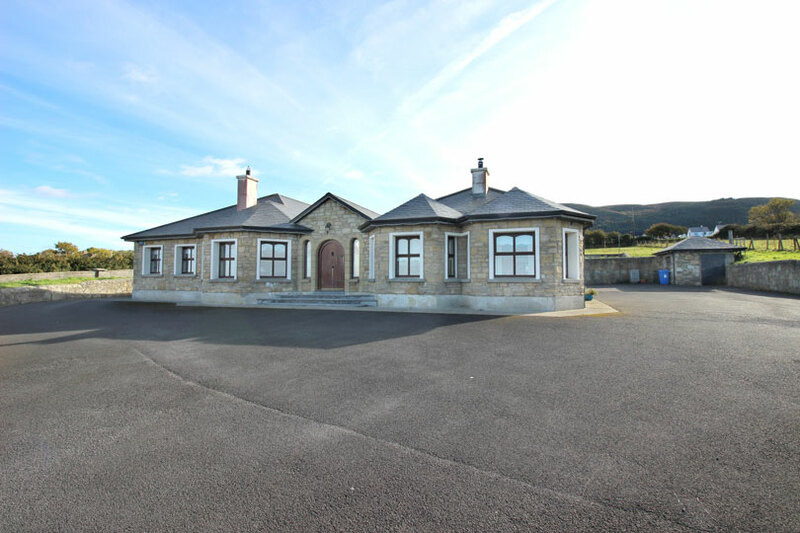 Travelling to Strandhill from Sligo Take Right Hand Turn after St. Anne’s Church, take next Right Hand Turn and go to end of lane and take left hand turn and house is on left hand side. Viewing: Is highly recommended and is strictly by Appointment.